The second book in an action-packed, high-stakes new adventure series for fans of Rick Riordan and STAR WARS. The Alpha Maraudi are on their way and they don't come in peace . . . When Benny Love won a trip to visit the Moon, he had no idea that when he got there he would have to stop an attack by the Alpha Maraudi, an alien race determined to destroy Earth. Benny and the rest of the kids on the Moon succeeded in fending off the first attack, by flying hi-tech Space Runners into battle. But now the man who brought them to the Moon, genius inventor Elijah West, is missing. And Earth is still very much in danger. 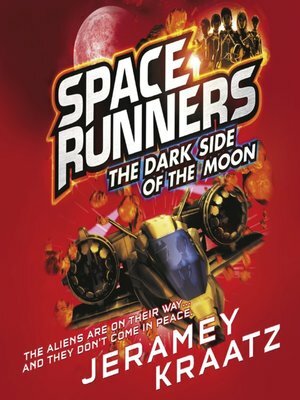 As Benny convinces the others to work together to warn Earth and prepare for the next phase of the alien invasion, they encounter a shadowy researcher from the dark side of the moon. He knows things about the aliens that could help to defeat them and save their planet from total destruction, but can they trust him? They'll have to decide what they're willing to do to save their planet soon, because more aliens are on their way – and they're coming for Benny and his friends first.